Yale researchers use CFD to study patient-specific models of abdominal aortic aneurysms. Applied CCM used the XDBview feature in FieldView to reveal to students the intricacies of automotive aerodynamics. See image below. Read about ANSYS Polyflow and extrusion dies. Read about a collaborative CFD simulation for free surface flow around a ship hull on the SimScale cloud platform. Using CFD to help predict a seagoing vessel’s optimal trim. Here’s the best of the visualization web for July 2015. Screen capture from a FieldView visualization of automotive aerodynamics. Video by Applied CCM. See link above. The latest issue of our newsletter, The Connector, includes a trivia question that plumbs the depths of your knowledge of Pointwise. First correct answer gets a prize. Our next Pointwise training course in Fort Worth will be on 20-22 October and there are still seats available. PyFR and ESP users will want to upgrade to the latest release, Pointwise V17.3 R4. ESI’s 3rd OpenFOAM User Conference 2015 will be held later this month on 19-21 October in Stuttgart. 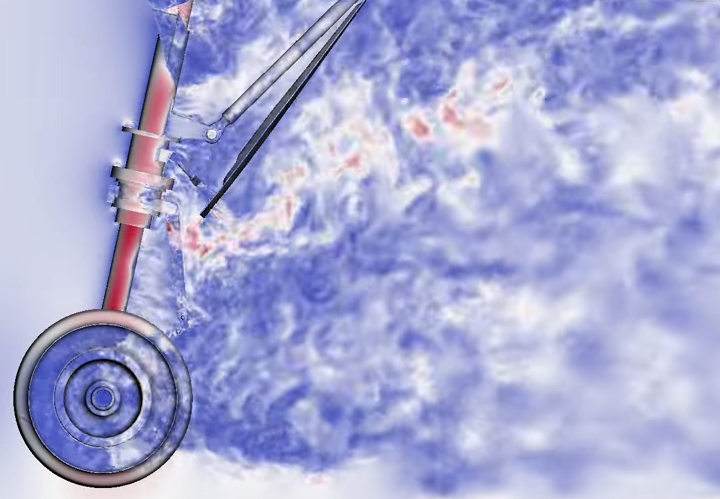 Unicorn is a finite element solver from the FEniCS project that was used to compute the turbulent flow over a landing gear (see image below). Beautiful screen capture from a video of a flow solution past a landing gear computed using Unicorn. See link above. Mesh sectioning is coming in SolidWorks Simulation 2016. Tecplot’s president, Don Roberts, talks about Tecplot RS’s role in the oil and gas reservoir simulation market. Adding to the #CADanywhere trend, SolidWorks Online Edition is coming to their 2016 version. Richardson CFD has a new online home. A collaborative project on two-phase flow in piping systems including CFD from CD-adapco is entering phase 2 and seeks new sponsors. IBM’s work on carbon nanotube transistors promises to extend Moore’s Law. I get that a lot for the artwork I post here. I hear that often when I slip away from a CFD conference with a couple of friends to walk the galleries of the local modern or contemporary art museum. I see eye rolls when I take folks to The Modern here in Fort Worth. My reply to “I could do that” is always the same: “Then I wish you would.” Because to have the ability to create works that inspire a flash of thought or blush of emotion is a gift and if you have that gift you should share it. However, in this video from PBS, a curator explains (nicely) why you probably can’t do that. Or stated differently, if accurate representation (i.e. portraiture, still life) is the ultimate goal of art, why hasn’t painting been killed off by photography? 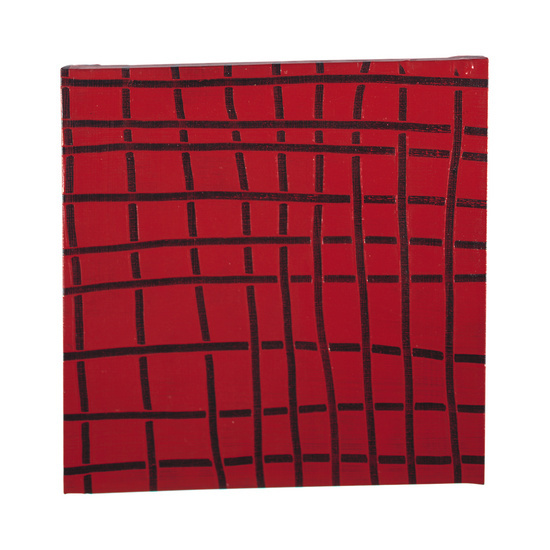 I leave you to ponder the video’s message with Mary Heilmann’s Little 9 x 9 from 1973 (source). This entry was posted in Applications, Events, Hardware, News, People & Places, Software and tagged CD-adapco, ESI, FEniCS, FIeldView, Foam-U, OpenFOAM, Pointwise, Polyflow, Richardson CFD, SolidWorks, Tecplot RS, UFO-CFD, Unicorn. Bookmark the permalink.